Join in the fun! Add the “Spoonie” Twibbon/ Sticker to your profile pics! UPDATE- OVER 9,200 people have added the spoonie twibbon! Join in the fun! UPDATE- OVER 9,200 people have added the spoonie twibbon/ sticker on both twitter and facebook! It is amazing to start seeing spoons popping up all over the place. 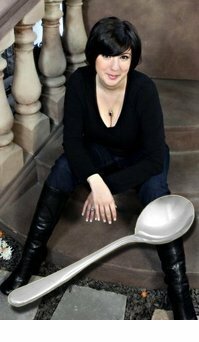 I keep hearing from readers of this site how fun it has been for people in their life to ask “hey what is up with the spoon?” It sure is a conversation starter! 🙂 It gave them a chance to share ‘The Spoon Theory‘ and also how it works in their own life since we all are different. People are sharing more, and people understand more. That is the goal. Add this Spoon twibbon to show that you like and identify with “The Spoon Theory” from butyoudontlooksick.com, or that you want to support someone who does. Many people who consider themselves “spoonies” are people living with invisible disabilities or pain like: Lupus, Fibromyalgia, CFS, MS, ME, Arthritis, Diabetes, Cancer, and many more. Anyone who has to “ration” their energy and make difficult choices everyday just to live life despite their illness. The secret society of the sick so to speak. Please take a moment and join in the fun! Click the link to get started. It has done so much for awareness in just a few days! Here is an example of my profile picture with the spoonie sticker on it.